A selection of letters from our June 2016 edition. I’m new to the BPS and this is the first time I’ve responded to anything in any magazine ever; so forgive me if this is going against protocol. I just have a few questions to put to the new President, Peter Kinderman, having read his ‘One on One’ article in the May issue. I gathered from the article that you believe that psychology should take a more active approach in influencing social issues and policy; but what would you consider going too far? While psychology has undoubtedly had many positive influences on society, it can’t be denied that it also complicates many issues and has had very negative effects both on specific individuals and on wider society. Psychology is the study of human nature, and human nature is always subjective. Who can say that what is popularly believed now will not change in a 10 years’ time; and if psychologists play a large part in enforcing a way of thinking that is no longer valid (or perceived as valid) further down the line, would psychology then be doing more harm than good? You said in your article that our thinking is constrained by our culture, our upbringing and our learning, in which case, how do you believe we as psychologists should arrive at a moral standing to fight for? The ideals of the West don’t often coincide with the ideals of the East; do you believe we should push our principles and ways of thinking on those that don’t share them, or do you think we should accept that there are cultural differences that shouldn’t be played with? If so, where do we draw the line? When I mentioned that psychology has had negative effects on people, I was thinking of instances when psychology is brought into criminal proceedings; where advocates for the prosecution and the defence each present psychological research to achieve their own goals. Often this research is twisted or exaggerated, and sometimes (when examined from a commonsense standpoint) it has no bearing on the issue at all. How much influence do you believe psychology should have when people’s lives lie in the balance? Are you concerned that by brining psychology into a position where it can have real influence over people on a wide scale, that psychology will experience the same change that the Catholic Church had on medieval England? An institution which originally had its own interests and doctrines quickly grew in power and influence and held sway over many people’s lives; resulting in grievous instances of corruption and hypocrisy that had profound effects on the ways people thought and behaved. 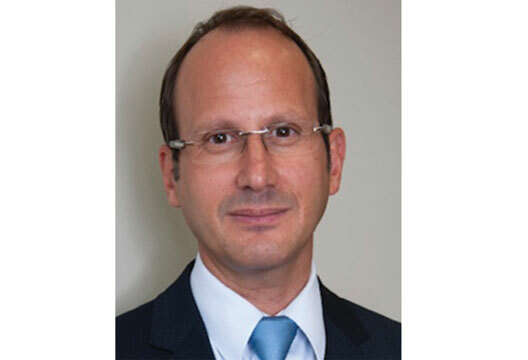 The ‘One on one’ piece of Professor Peter Kinderman, President of the British Psychological Society (May 2016) brought psychology into disrepute by his reference to Margaret Thatcher, and the man must be sanctioned by the BPS and if possible within the rules, impeached. Many people share the views he expressed, and are entitled to their views, and many do not, and they are entitled to their views as well. However, these remarks have nothing whatsoever to do with psychology but put a name on the creep that has been happening for many years in our profession, and of all professions this should not be happening within psychology: the silencing by intimidation of all those that do not share the views of this opinionated elite. The Division of Educational and Child Psychology Annual Conference in January 2016 was a case in point, where Professor Kinderman was a key speaker and was eulogised in such positive terms during his introduction that one would have thought that we were all about to be enlightened. Professor Kinderman went on to tell us that diagnosed mental illness does not exist and is solely a ‘social disease’. This view is extreme in the extreme, and if we aim to influence the government of the value of psychology to society, this will have shot psychology in our collective feet. The point is that the opinion as stated left no room for doubt: Does he live and work in the real world? Worse is the sheer and unadulterated discrimination of such views against adults and children with neurological and neuropsychological conditions and their parents who are ‘blamed’ by such views. If I have got this wrong and the message was that it is the political system that is solely to blame, then Peter Kinderman is in the wrong profession and is pushing wholly sociological views. I am inclined to say that with Professor Kinderman and his ilk ‘in power’ at the BPS, the lunatics have taken over the asylum, but in Professor Kinderman’s view lunatics do not exist, of course, so there would seem to be a method in his madness! This, however, is far from a laughing matter, and it is all our professional lives at stake and if Professor Kinderman and others like him represent the opinion-makers and trainers for our profession at large, psychology is doomed to be in a backwater of society for a very long time. I hope that others within the BPS will support my call for Professor Kinderman to be sanctioned by the BPS, for him to take the honourable course of action and step down as President, or otherwise for him to face a vote of confidence of all members. As I read Professor Kinderman’s ‘One on one’ article in May’s issue, I was hugely struck by his response to ‘One thing that you would change about psychology’, to which he replied ‘the concept of abnormal psychology’. I could not agree more with this sentiment. The term itself does not fit with the way we now think about psychological and neurodevelopmental conditions. Let’s take autism as a case and point – there is currently a great shift in thinking about autism to the concept of neurodiversity (just read Steve Silberman’s excellent Neurotribes (2015) as an example of the powers of neurodiversity). Neurodiversity encapsulates the diverse ways in which different people think. People who think differently are not abnormal. Indeed, people who think differently may need additional support, but we should certainly not be teaching generations of psychologists that those in need are abnormal. Evidence suggests that there is a high prevalence of mental health problems in student populations (Bewick et al., 2010; Keyes et al., 2012). Can we really stand in front of our students and tell them that they are abnormal if they have a mental health condition? Indeed – one in four people in England are estimated to have a mental health condition (HSCIC, 2009). Given this high prevalence, it is clearly not abnormal to have mental health difficulties. The BPS, who essentially set the curricula for psychology degrees, have a real opportunity here to rename and reshape ‘abnormal psychology’. What about just ‘clinical psychology’ or even ‘neurodiversity’? Bewick, B., Koutsopoulou, G., Miles, J. et al. (2010). Changes in undergraduate students’ psychological well-being as they progress through university. Studies in Higher Education, 35(6), 633–645. Keyes, C., Eisenberg, D., Perry, G. et al. (2012). The relationship of level of positive mental health with current mental disorders in predicting suicidal behavior and academic impairment in college students. Journal of American College Health, 60(2), 126–133. Silberman, S. (2015). Neurotribes. London: Allen & Unwin.